Samuel Robinson – ASHLAR LODGE, No.3, A.F.& A.M.
Samuel Robinson (1856-1928) was a member of Ashlar Lodge, No.3 who had moved to Duncan about 1899. He became a Charter member of Temple Lodge, No.33 in December 1899 and served as Wor. 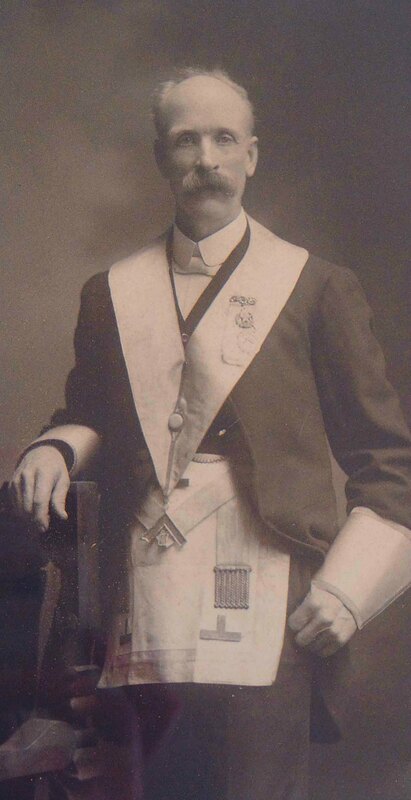 Master of Temple Lodge, No.33 in 1902. Samuel Robinson was a builder by trade. 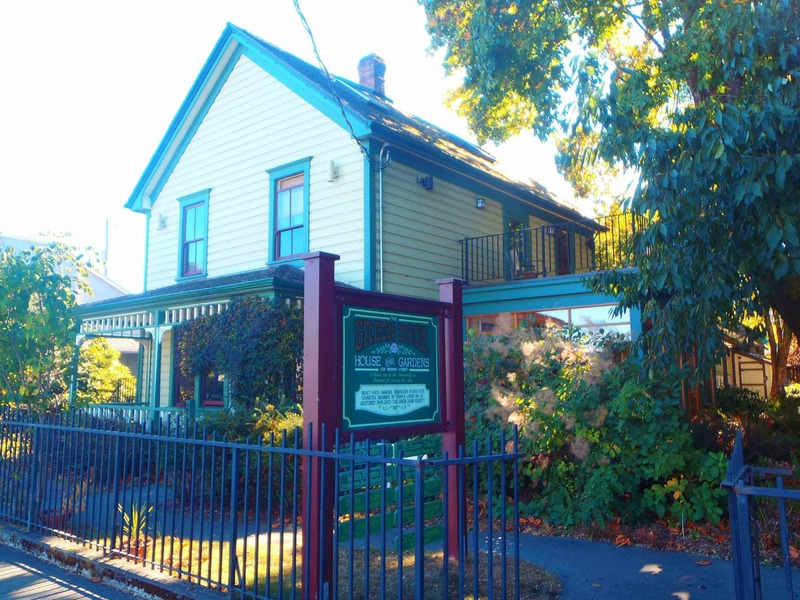 We know of only one extant building built by Samuel Robinson: a 1903 residential house, now known as the Green Door, at 126 Ingram Street in downtown Duncan which he built in 1903 for Andrew Hans Peterson, another member of Temple Lodge, No.33. Green Door, 126 Ingram Street, Duncan, B.C. “Minutes of an Emergency Communication of Temple Lodge, No. 33 A.F. & A.M., G.R.B.C., held on Sunday the 17th day of June 1928 at the hour of 2:0 pm. The Lodge was opened in due and ancient form by Worshipful Brother Christopher Dobson, Acting Worshipful Master, Presiding in the East, Officers, brethren and Visitors as shown by the porch book. 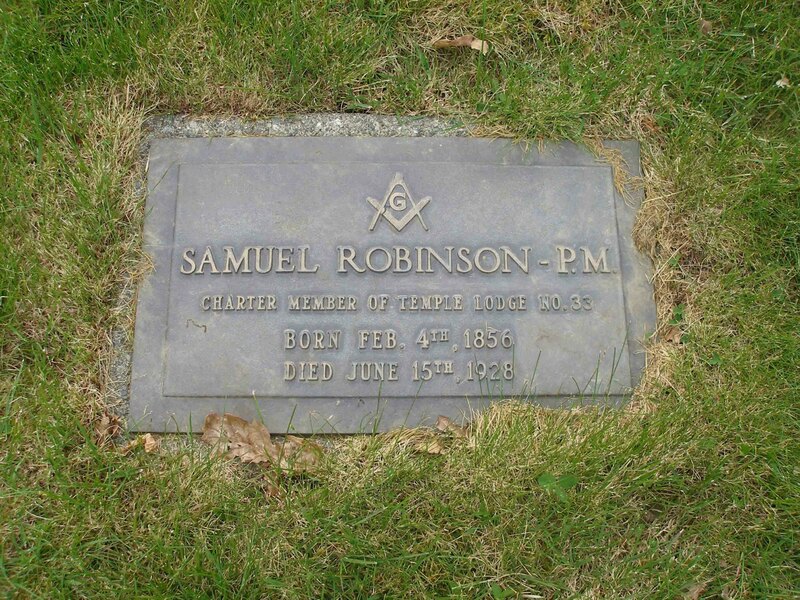 The Acting Worshipful Master stated that the Emergency Communication had been called for the purpose of carrying out the sad duty of interring the remains of our late Brother Samuel Robinson who had passed on to the Grand Lodge Above on the 15th day of June 1928. “Born February 2nd in the year 1856 at Longford, in the county of Derby, England. 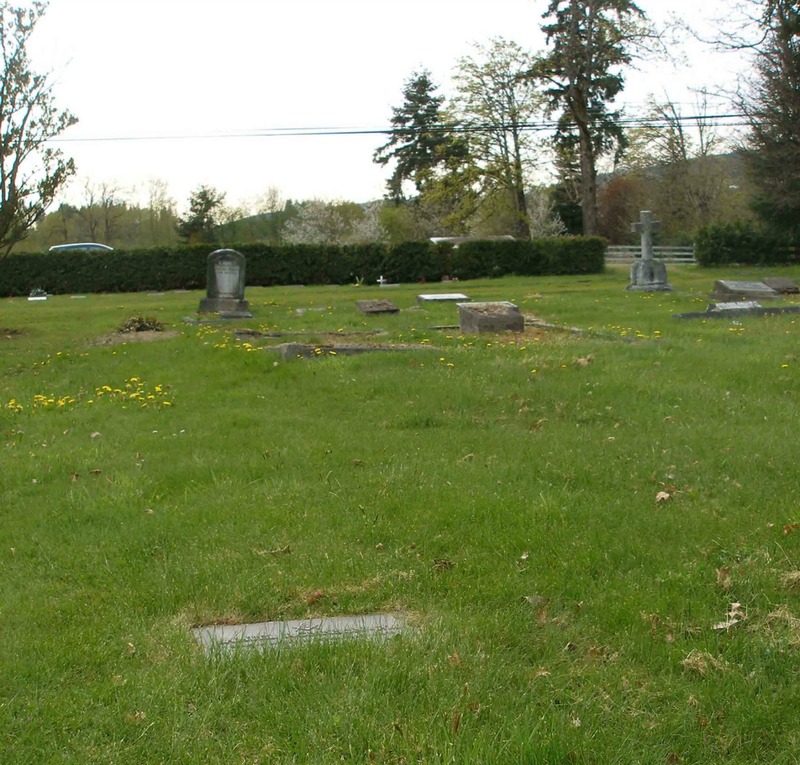 Died at Duncan in the Province of British Columbia on the 15th day of June 1928, in the 73rd year of his age. He was made a Mason at Dundee, Scotland. The Lodge was then formed in procession and proceeded to St. Mary’s Cemetery, Somenos, where the remains were laid to rest with due form, ceremony and honours. On return to the Lodge Room the Secretary was instructed to forward a letter of condolence to the relatives of our late Brother, it was also decreed that the charter should be draped for one month. “Robinson – Mr. Samuel Robinson, who had been ailing for some time past, died on Friday morning at the King’s Daughters’ Hospital, Duncan. He was born at Longford Village, some ten miles from Derby, England, on February 4th, 1856, where his father was a farmer, carpenter and builder. On leaving school he was apprenticed to his father and followed the trades of carpentry and cabinet making. At one time he worked on the Clyde on the interior decorating of vessels. In 1882, Mr. Robinson migrated to York centre (near Chicago), where he joined and worked with his brother, Arthur, who had large cheese and butter factories there. After six years in Illinois, Mr. Robinson went back home. He was in Scotland for seventeen months and at Longford for a year and then returned to Chicago. This was in 1892 and he stayed to see the World’s Fair in the following year. He will be remembered as a gentle, kindly old man, with a goodly store of reminiscences. He became a Mason in Dundee, Scotland, and on the formation of Temple Lodge, A.F.& A.M., No. 33 in Duncan in December 1899, he became one of its charter members. He was Worshipful Master in 1902 and for a great many years he held the office of Tyler. About sixty of his sorrowing brothers attended the funeral on Sunday afternoon, from the Masonic Temple to St. Mary’s Churchyard, Somenos, whither his body was borne by six past masters, Wor. Bros. A.H. Peterson, Thomas Pitt, J.M. Campbell, W.M. Dwyer, K.F. Duncan and James Greig, while a similar number of pastmasters were present among the brethren as was Mr. C.H. Dickie, M.P. and Rt. Wor. Bro. D.H. Ker, P.D.D.G.M., Junior Grand Warden, Grand Lodge of B.C. The Masonic service was in charge of Wor. Bro. C. Dobson, acting for Wor. Bro. W.B. Harper, W.M. The committal service of the Church of England was conducted by the Rev. F. Granville Christmas. Mr. Robinson leaves behind an older brother, William, in England and six nephews, Walter, Gilbert and Henry Robinson, Sahtlam; and W.F. and Arthur, of Aldergrove; and three nieces, Mrs. M.D. Castley and Mrs. I. Bonsall, Duncan and Mrs. W. Roseboom, Victoria.